Wild rice can add an exciting texture to your plate. It’s a nice change from the normal white or brown rice – it has a bit of a snap, similar to al dente pasta. There are many ways to prepare the rice, but I’ve chosen a very simple preparation that maximizes flavor and minimizes ingredients. I made this rice to accompany a roasted chicken. 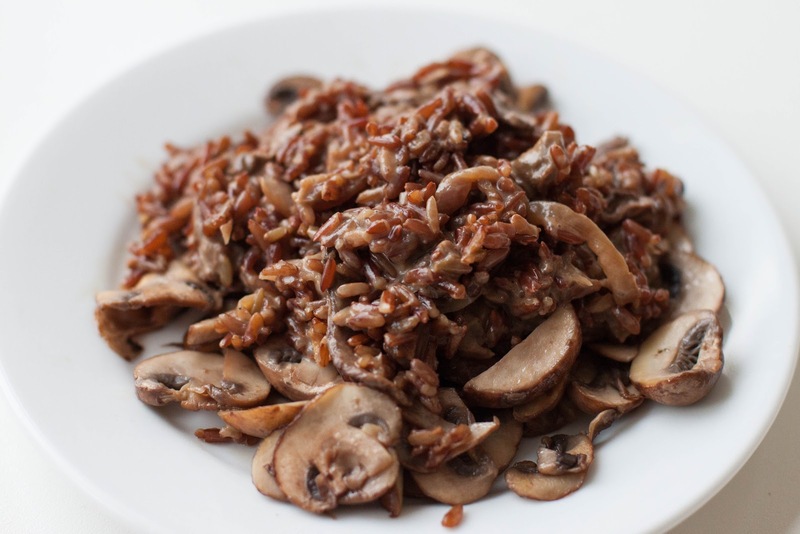 Since you’ll use dried and fresh mushrooms, they will add a deep flavor to the rice. 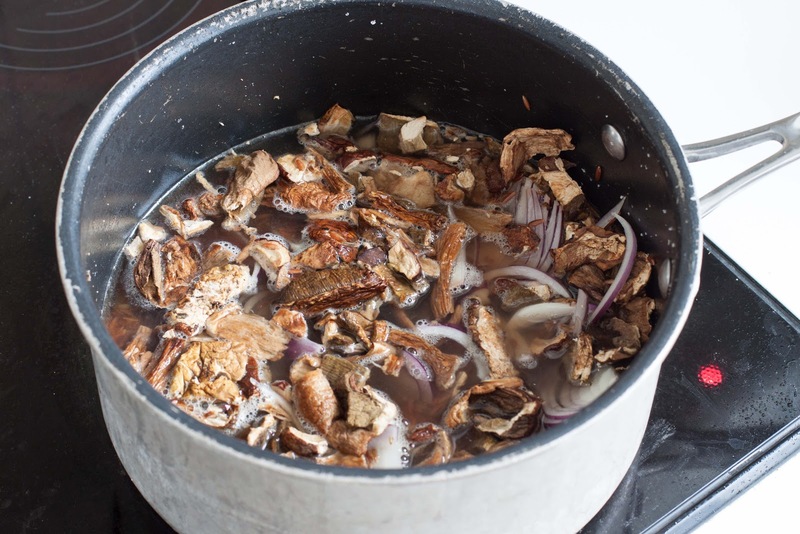 You can skip using your precious chicken stock (but it wouldn’t hurt if you did)…. Slice the red onions into moons and measure out 1 cup of wild rice and 1 cup of dried mushrooms. Combine everything into a covered sauce pot and add 2 cups of water. Cook covered for 40 minutes on low, or based on the instructions on the box. The mushrooms and rice will absorb the water during the cooking time. While the rice is cooking, slice your brown mushrooms and heat up a pan over medium-high heat. When the pan is hot, add a good ½ T of butter and some olive oil. Put the mushrooms in the pan, season them with salt and pepper, and sauté for 8 minutes or so until they are nicely brown. 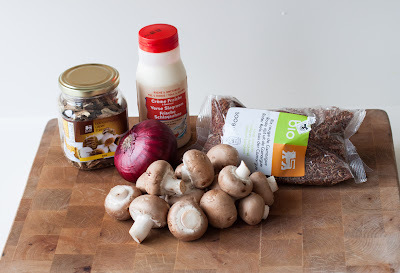 You will use the mushrooms as a base, and top them with the wild rice. When the rice is finished, stir in a few T of cream (optional, but it adds a nice dimension). Add salt and plenty of black pepper to the rice. Cook for an additional minute or two to let the cream settle in. 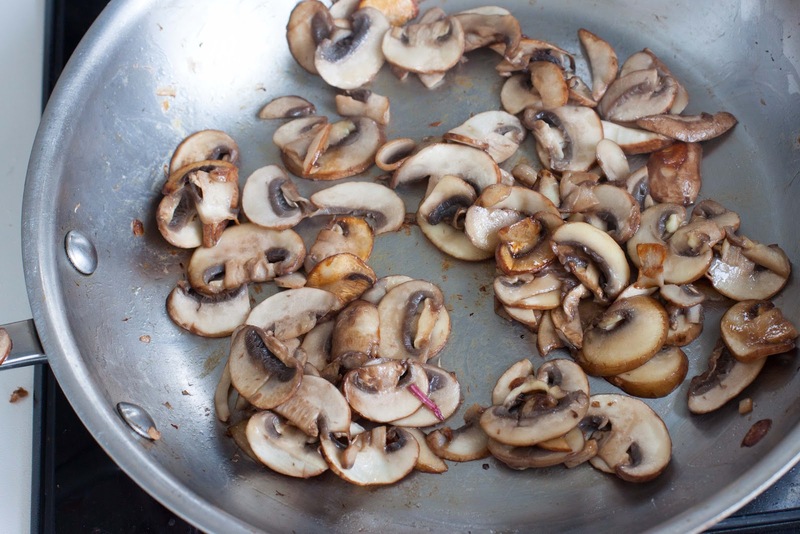 Serve hot on top of your sautéed mushrooms!